I've been really liking the trend of having cutout sections on dresses, but I think some dresses have larger cutouts than I like. 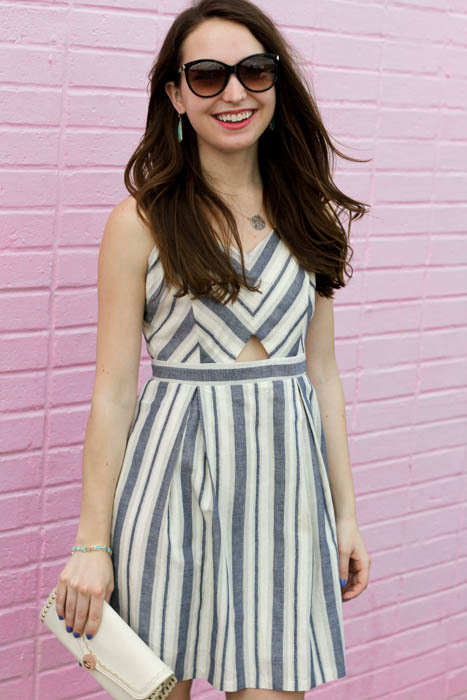 This striped dress with a small cutout from Mint Julep Boutique is the perfect solution! It has this little cutout that brings a lot to the dress, without showing too much skin. The muted colors are perfect for pairing with bright accessories, and it's quite comfortable. However, the straps are a bit long on me. I am wearing a size S and the straps are adjustable, but I had to pin them a little to get it at the length that fit me best. I'm sure this wouldn't be a problem for anyone taller than me, and for reference I am 5'2". This dress is too cute! Love the cut out as well. Hope you're having a great day! This dress was made for you! 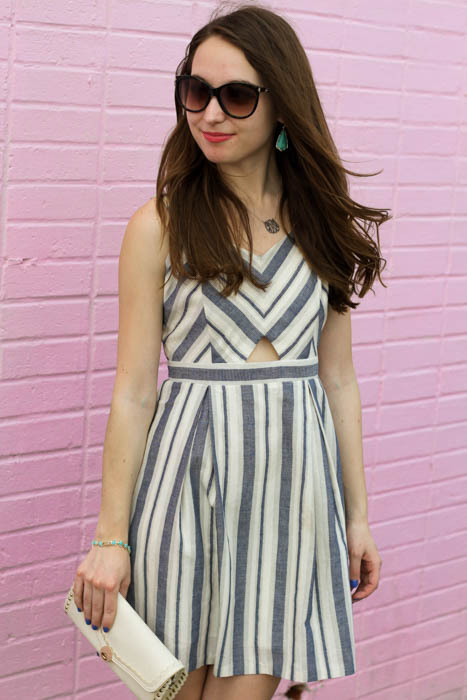 I love the cut-outs and the stripe pattern! This dress is way too cute and that price tag? Sold! The perfect spring time dress. Unique stripes are fun for spring. Love the small cutout detail on your dress too!